Why Are Some iPhone Messages Green and Others Are Blue? The iPhone Messages app will display text messages with either a green background or a blue background. These colors are not random, and are actually telling you whether the message was sent as a regular SMS text message or an iMessage. 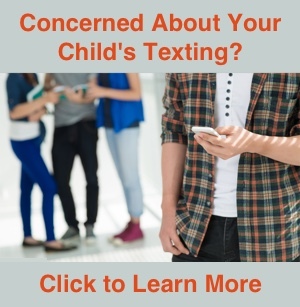 The green background indicates the message was sent as an SMS text message using the text messaging plan provided by your cell phone provider. Regular texting rates will apply, based on your texting plan. The SMS text message is automatically used when sending text messages to someone without an Apple device. For example, if you are sending a text to someone with a basic cell phone (non-smartphone) or any smartphone other than an iPhone (Android, BlackBerry, Windows…), your iPhone will display the message in a green background. The SMS text message is the same type of text message people have used for years, even before the iPhone ever existed and everyone had basic cell phones. The blue background indicates the message was sent as an iMessage. An iMessage is sent by Apple instead of your cellular provider. The iMessage is sent over an Internet connection rather than through the cell phone control channel (like a regular SMS text). There are no text messaging charges by your cellular provider when sending an iMessage. However, since an iMessage is sent over the Internet, a small amount of cellular data will be used when sending an iMessage if your iPhone is not connected to a Wi-Fi network. If your iPhone is connected to a Wi-Fi network, the iMessage will be sent using the Wi-Fi network instead of your cellular data network. When sending a message to someone with an Apple device, your iPhone automatically recognizes if the sender has an Apple ID and will send the message as an iMessage. On your iPhone, the message will be displayed in a blue background. Apple routes iMessages based on a user’s Apple ID. Therefore, anyone with an iPad or a Mac computer can send iMessages. However, because the iPad or Mac computer does not have access to a cell phone control channel, it can not send regular SMS text messages. Beginning with iOS 8.1, Apple included a feature called Text Message Forwarding, which will forward SMS text messages from an iPhone to an iPad. This allows SMS text messages to be sent and received in the Messages app on the iPad. This article provides additional information. Whether a message is sent as a regular SMS text message or as an iMessage is determined automatically by your iPhone. There is no need to be concerned about selecting one method or the other. However, if you want some control over when an SMS text message or iMessage is sent, this article will explain some available options. If you have additional questions about the Messages app, please see my other articles about text messages and iMessages. Why are iMessages being sent as SMS Text Messages?